This Corliving TV stand is sure to fit any floor plan. Easily support your television with this brown free standing TV stand. Games, movies, and even speakers can be stored in this handy piece. The Liberty 42.52 Mid-Century Modern TV Stand is the perfect blend of quality craftsmanship, brilliant design, and purposeful functionality. Featuring 2 open shelves, and one hidden cubby to create the ultimate entertainment center perfect for stashing DVDs, board games, electronics, and media accessories. Free standing and easy to maneuver, this piece will mix well with any decor and its artful grooves will create a statement in any space. 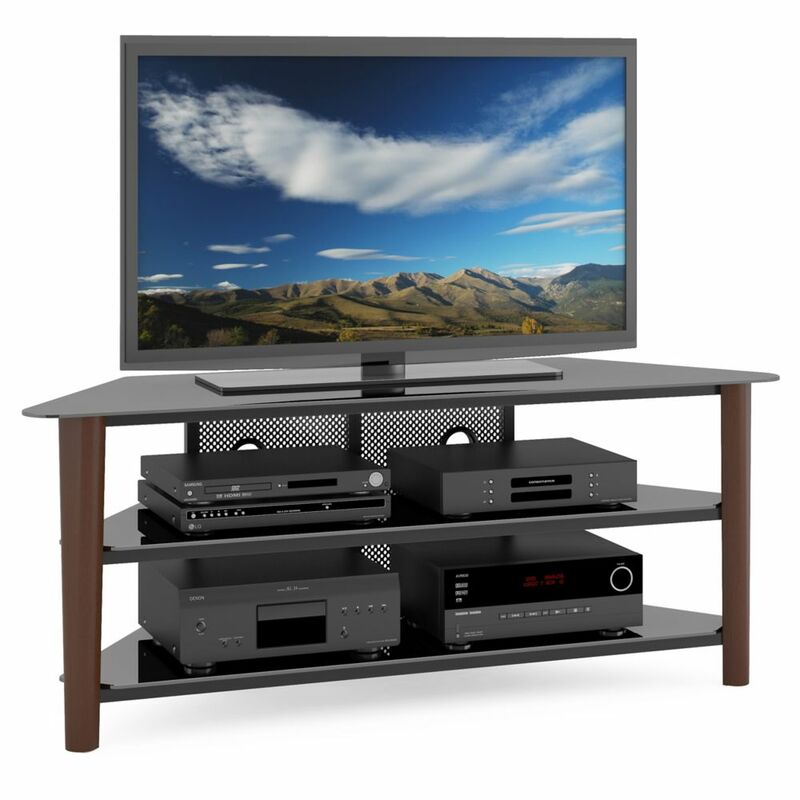 Alturas 60-inch x 24-inch x 18.5-inch TV Stand in Brown This Corliving TV stand is sure to fit any floor plan. Easily support your television with this brown free standing TV stand. Games, movies, and even speakers can be stored in this handy piece.